Of all Frank Klepacki’s scores, Star Wars included, Mytheon is the one that least resembles his hallmark scoring approaches. There isn’t a single electric guitar, electronic beat, or funky lick in the entirety of this two-hour soundtrack. Instead, Klepacki focused on using traditional instruments to capture the settings and battles of this action MMORPG inspired by Greek mythology. 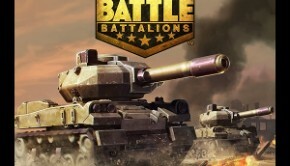 Six years after the game’s original launch, the music was finally released digitally by Sumthing Else in January 2016. 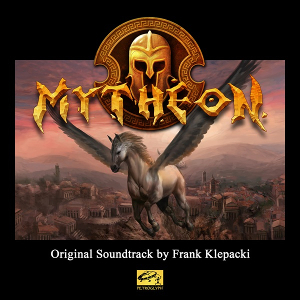 In Mytheon, Klepacki shifts away from his bombastic contemporary scoring approaches in favour of simpler traditional sounds befitting the game’s era and locales. For example, “Antediluvian” captures the serenity of a primordial with its lute writing, while “The Cove” evokes the sounds of the sea with its folksy fiddle flavours. Such tracks completely shift away from Klepacki’s trademark sounds, but prove highly enjoyable nevertheless thanks to their evocative melodies and exotic timbres. 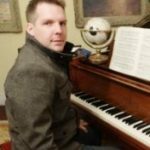 In each of his compositions, Klepacki gets the level of orchestration just right for the in-game purpose. Compositions range from the almost completely monophonic tracks, like “The Garden” and “Meditation”, through to more embellished compositions that still focus on a solo instruments, such as the guitar-based “Remnants of War” and “Ancient Dance”. Some of the most nuanced tracks such as “Harbor”, “The Sands”, and “Evening Grove” feature dabs of orchestrations, whereas “The Mountain” provides the score with a richly orchestrated spectacle. Yet while this 41-track score features plenty of highlights, there are also quite a few tracks that prove tiresome on a stand-alone basis. The main theme is a surprisingly underwhelming effort, lacking the memorable melodies and rich orchestration needed to leave a lasting impression. It’s also one of the few tracks on the soundtrack that is let down by its last-gen production values. 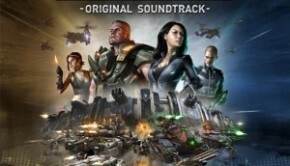 Many of the compositions used in the game’s darker locations, for example the “Forge”, “Quarry”, “Stygian Spirits”, and “Field Camp”, are minimalistic tracks that rely almost entirely on instrumental drones. While such tracks are adequate as background music, their grim, plodding nature will make them instant turn-offs to most album audiences. “The Spear” and “Desolate Island” are a little more interesting thanks to their respective percussive and choral features. The largely monophonic “Hymn of Aspiration” , “The Garden”, and “Cursed Sailor” will also potentially outstay their welcome despite their effective instrumental writing. Mytheon‘s score also boasts plenty of action tracks. 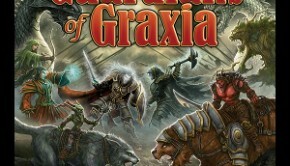 These tracks shift away from the low-key scoring approaches of the setting themes in favour of dramatic orchestral writing, for example “Creatures Battle”, “Fields Boss Battle”, and “Grove Battle”. The scoring approach of such tracks resembles those used in most other epic mythological scores, such as those God of War series. Yet while Mytheon lacks the orchestral budget to create sounds as mighty as such contemporaries, Klepacki partly makes up for it with his audacious, uncompromising use of orchestral dissonance and heavy percussion. Other action-packed delights include “Egyptian Encounter” with its Arabian influences and “Tradition of Battle” with its swashbuckling tones. Mytheon also plays to Klepacki’s strengths as a choral writer in “Killing Fields Battle”, “Forge Boss Battle”, and “Battling the Gods”. Serving as the soundtrack’s final track, “The Gods of Mytheon” is a momentous orchestral and chorus composition perfect for capturing the clashing of the gods. 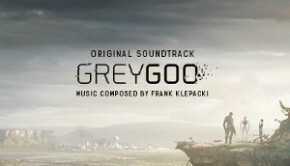 All in all, Klepacki successively adapted his scoring approach to create a very fitting and effective soundtrack for Mytheon. As a stand-alone soundtrack experience, Mytheon is a slow, uneven 124 minutes between its minimalistic scoring approaches and light thematic material. However, it’s far from a slogfest thanks to the potency of its intimate setting themes and furious action tracks. A cautiously recommended listen. Posted on April 29, 2016 by Chris Greening. Last modified on April 29, 2016.